the collection is currently only accessible for research and academic teaching upon request. 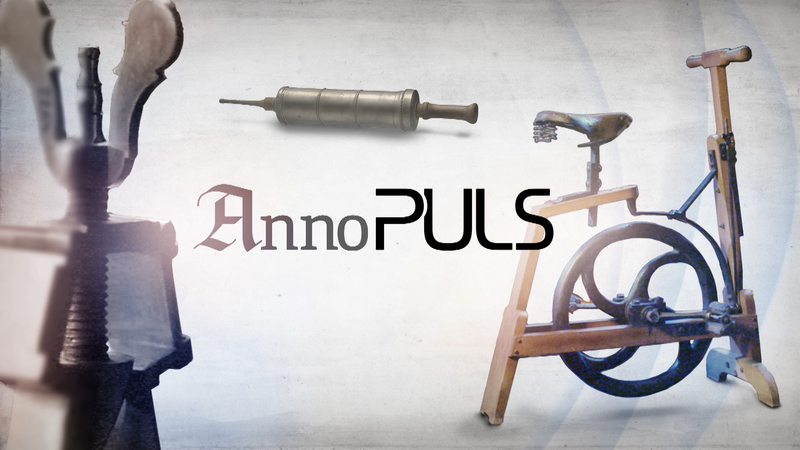 Medical Collection on "Anno Puls"
Since August 20th 2018 different objects from the Medical Collection will be broadcasted on "Anno Puls" (Broadcast PULS, SRF 1). The already broadcasted documentations can be watched here. 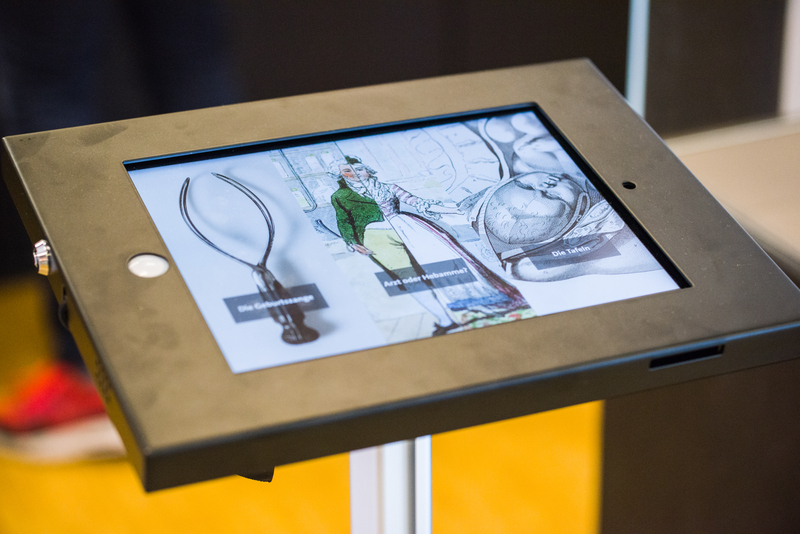 virtual exhibition (Physical exhibition closed 27th of August 2018). More information could be found here (German). The Medical Museum is currently closed. The University of Zurich’s Medical Collection is one of the most significant in Europe. More than 20’000 objects are currently being inventoried and prepared for scientific research. 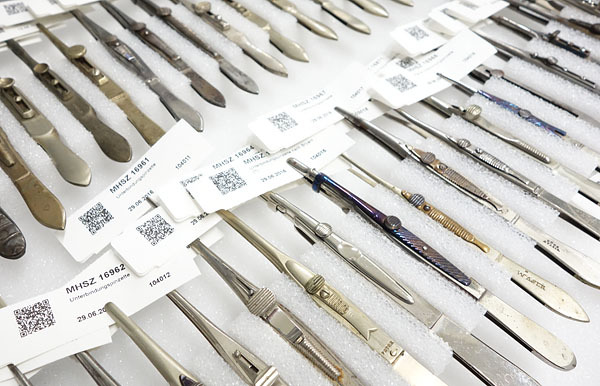 The collection focuses on medical instruments and equipment for diagnosis and therapy. The Zurich collection’s high coverage of the 19th century and exemplary pieces from the 17th and 18th centuries set it apart from other similar collections. The surgical, obstetrical, ophthalmological and orthopaedic subcollections are especially extensive. Further highlights include instruments and equipment used for research and surgery by important doctors of the University of Zurich and the surrounding region, as well as devices and remedies used in alternative medicine. We became part of the Institute of Evolutionary Medicine (IEM) in August 2016. At the same time, our establishment for scientific exchange between museums, teaching and research was launched at the new facility in Schlieren. We are a member of the Swiss Museums Association and commit to the ICOM Code of Ethics for Museums. We continue the collection of the former Institute and Museum of Medical History and we are listed as an A-object in the Swiss Inventory of Cultural Property of National Significance (Edition 2009, ZH, Schlieren, page 448).